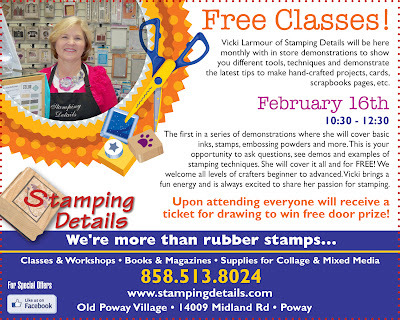 Life at Stamping Details: Starting this Month....FREE Demonstrations & Techniques from our Vicki! 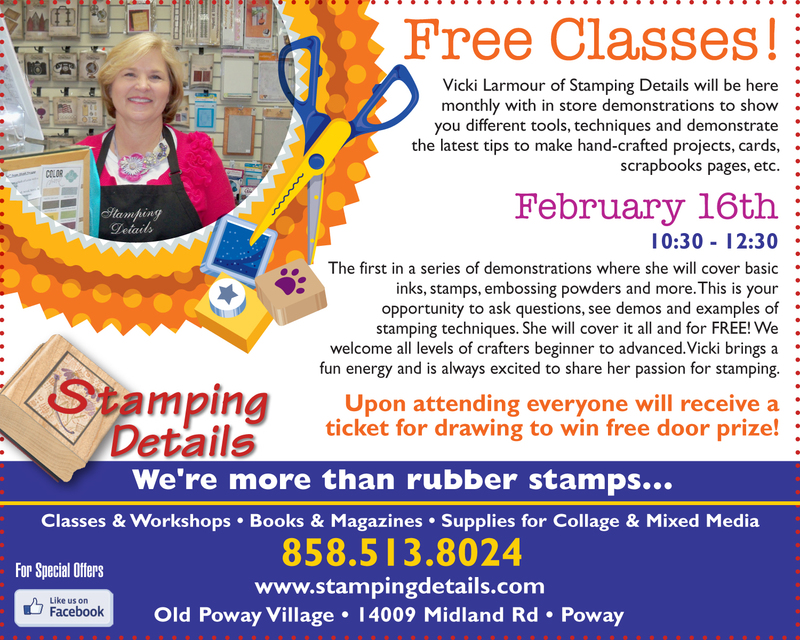 Starting this Month....FREE Demonstrations & Techniques from our Vicki! Bring your questions and learn some basics from the pro herself! Remember it is FREE! !